Co-signing or co-borrowing is serious business. Many young borrowers have little or no credit history, making it difficult to get student loans or mortgages–lenders generally take a cautious approach to first-time borrowers. Without a credit history to go on, it’s not unusual for them to require a co-signer before they hand over a check. Agreeing to co-sign a loan or become a co-borrower on a loan can help someone without established credit (or good credit) get a student, auto, or home loan on their own. But co-signing or co-borrowing a serious loan is serious business. You could incur liability and risks and suffer serious financial consequences even if you know and trust the person who’s taking out the loan. For first-time home buyers, today’s tougher mortgage lending standards can be serious hurdles. Many don’t have a high enough credit score (the average for closed loans in August 2014 was 727) or enough income to meet the minimum debt-to-income ratio (DTI) lenders require (the DTI in August was 24/37, including the mortgage). To put this in perspective: just 61.1 percent of mortgage applications were approved in August. 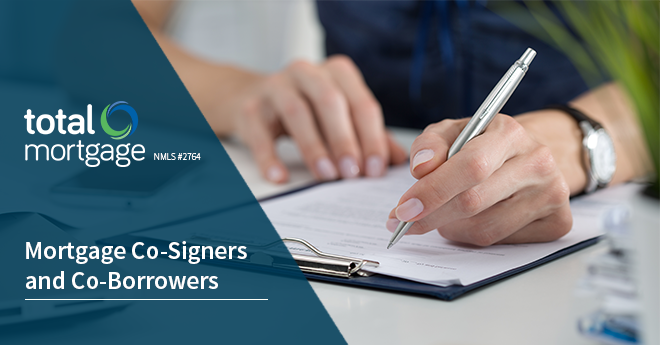 In today’s economy, co-signing is more prevalent than ever–as much as 10 percent of borrowers need a co-signer to qualify for a loan. Some are desperate enough to advertise for one on Craigslist. As soon as you become a co-signer, the debt will also show up on your credit reports. This can damage your score if the borrower misses a payment. Cosigning a loan can also affect your ability to get financing. Since a co-signer is legally obligated to pay the debt if the borrower defaults, the co-signed loan will count just the same as your own loans and gets factored into the your debt-to-income ratio if you apply for another loan. Should the borrower become delinquent in making payments on the loan, the bank or creditor can select which debtor to pursue. That means the lender can come after you before exhausting other means to get the money from the borrower. Knowing the borrower and trusting him or her isn’t enough. For the first time on record, the delinquency rate on student loans has jumped above the rate for credit cards, car loans, or any other kind of consumer loan. As of September 2014, some 13.7 percent of outstanding student loans are in default, leaving millions of co-signers holding the bag. Think about it this way: when you’re asked to co-sign a loan, you’re being asked to take a risk a professional lender has decided not to take. In some ways, being a co-borrower is a better deal than being a co-signer. Co-borrowers get more benefits for basically the same risk. First of all, co-borrowers receive direct benefits from the loan. Co-signing leaves you nothing but debt if the borrower fails to pay, but as a co-borrower, you share ownership of the home, the car, or the cash from the loan. Another plus? Co-borrowers do more to help the primary borrower than co-signers. A co-borrower’s credit history, income, and assets are considered together with a primary borrower to qualify for a loan. Instead of qualifying individually, as co-signers are, the primary and co-borrower are able to combine their income and assets into one in order to meet the lender’s borrowing criteria. However, credit scores from co-borrowers are considered separately when it comes to mortgages purchased by Fannie Mae and Freddie Mac (about half the nation’s mortgages). Lenders making conventional loans are required to focus on the lower of the two FICO scores. On loans not purchased by Fannie or Freddie, the lender is likely to put more weight on the credit score of the person with the higher income. For some, it may be necessary to hold off on a home purchase for a few months to allow the co-borrower with credit issues to clean up his or her report and raise the score. Should you be asked to co-sign or co-borrow, understand the financial risks you’re taking. Hard times can hit without warning, and you don’t want to be left with the bill. More than that, loans that go bad have a history of straining relationships. If you have reservations about the borrower’s ability to repay the loan, look into helping out in other ways. Steve Cook is managing editor of Real Estate Economy Watch, which was recognized as one of the two best real estate news sites of 2011 by the National Association of Real Estate Editors. Before he co-founded REEW in 2007, he was vice president of public affairs for the National Association of Realtors. In 2006 and 2007, he was named one of the 100 most influential people in real estate. Is there any legal authority for the proposition that a co-borrower takes title to the property? Thanks. Can a friend be a co-borrower or a co-signer in a FHA loan? I have heard conflicting information on this topic. Any guidance would be much appreciated. After paying a mortgage for almost a year I checked my credit history and it turns out that I have NO real State loan listed under my name. The mortgage company said that since I am a Co-borrower and my husband is the primer borrower, they have to report our payment history only under SSN. Is that true? How can I get them to start to report the payment history under our both SSN? My partner and I split 5 years ago and left me with the mortgage. The original deed has me as the borrower and then the co-borrower. At one of our refinancing the co-borrower sighned first then I sighned for the refinance, thus puting the co-borrower as the borrower and me as the co-borrower. The original deed that I have has me as the borrower and the other as the co-borrower. Can the change legaly at a refinance? My real question is : how do I get the house in my name only? Remind you I have payed on the house for 5 years and have never been late, I have payed extra on the mortgage to try get it payed off early. Can my sister who lives in another state be a co borrower with me on a FHa loan? If she’s qualified, then yes. The FHA allows non-occupying co-borrowers on purchases. How does one go about obtaining a co signer on a home mortgage loan, when he doesn’t have anyone who can co-sign for him? It’s a big commitment to co-sign and guarantee the debt will be paid if the primary borrower defaults. Typically, close family members and possibly friends are the only options. Thanks for the question. Generally speaking–yes–the lower your credit score, the higher your mortgage rate will be. I would be the primary borrower (excellent credit score and solid work history) and my co-borrow has good credit but no work history since 2012, since returning from the NAVY and enrolling in school. Would a lender even consider a mortgage in both of our names? It’s hard to say without knowing you and your co-borrower’s complete financial profile. Typically, you only add a co-borrower when they have strong financials (i.e. little debt and high income). Yes. A stepparent is considered a relative and is eligible to co-sign. I really need to remove my daughter-in-law off of my mortgage. She has separated from my son, moved on with her life somewhere, hates me tremendously because I let my mortgage lapse when I had no income, has never paid into the mortgage. How do I have her removed. She went on because my husband was not employed at the time. He is now. You will most likely have to refinance in order to get her name removed from the mortgage. If you call and speak with a loan specialist, they’ll be able to further assist you. Who can be a coborrower on a mortgage? I am part of a couple but we are not married, could we borrow together? Yes, it is possible to have a co-borrower who is unrelated. I am still legally marriage but separated for sometime. Can I co-sign a FHA loan without her approval? My husband is a co-borrow on a mortgage loan with his ex-wife. She has decided she is not going to make any more payments. Does my husband have any right to the establishment if he has to start making the payment to prevent foreclosure. Yes, but the lender might look into her finances/get her to sign an acknowledgment form before approval. My brother is trying to buy a house but his income is not enough. He is married but his wife has no ssn, only an ITIN. Can they apply together? What are his options? Trying to refinance my house from a hight interest rate and 30 yr to a lower and 15 yr. I have a work history but not so great credit, 680, but only student loans -no other debts, all consolidated- and currently paying, small amount. 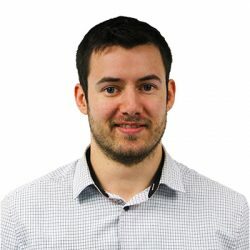 I’m currently receiving about 2000$ a month from job disability long term ( about 60% of my salary in the past 7 months) but will restart my job in about three or four more months. Ex husband agreed to help and since he has strong work history and better credit history will co-borrow in the loan. We were pre approved for a conventional loan at 2.5% 15 yr loan but since he has no financial interest in the house we are wondering if there is anything the bank can do to override his rights of ownership such as writing a clause in the contract ?? If you have a CO borrower can they eventually get off the mortgage? What would be the consequences of that if any? And how long do they have to stay on the mortgage before they could get out of the mortgage?